I mentioned in my last post that I recently got a facial. It was my first one and I didn't really know what to expect. I guess I thought I would leave there with beautiful glowing skin but that's not exactly what happened. I had also heard that they hurt so I was prepared for it to be a pampering experience but also that it might be a little painful. What I got was a mix between the two. The hot steam on my face was an interesting experience and once I got used to it, I really liked it! It felt really nice to open my pores. One of the most important takeaways I got from that appointment is that I have sensitive skin. My facialist had mentioned that would be one of the things she would figure out based on how my skin reacted to different stimuli. The crazy thing is that I never knew I had sensitive skin. I would exfoliate and use my Clarisonic like it was going out of style. So, fast forward 29 years and all of a sudden everything makes sense. I did notice that my skin was sensitive to certain things, but I never thought to call it "sensitive skin". I guess I didn't want to admit that my skin wasn't normal. I thought, oh great, does this mean for the rest of my life I have to buy special products catering to "sensitive skin"? But, I actually am really glad that I found that out because I think it's good to cater to your skin type and really know how to take care of it. I've been using the system for over a month now, and I am really happy with the results. 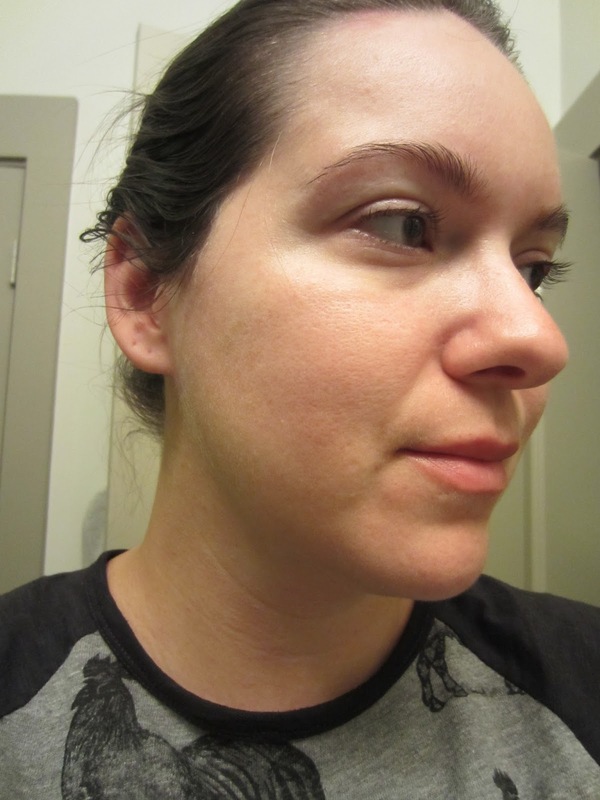 I had taken a few progress photos below because that really helps me to tell the difference between each week of use. 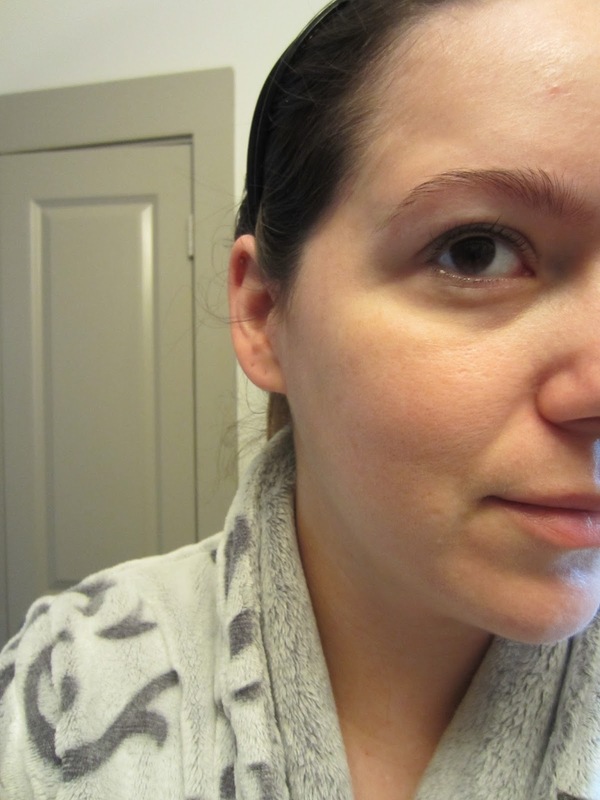 My skin also feels so much smoother and healthier. I think I am hooked! 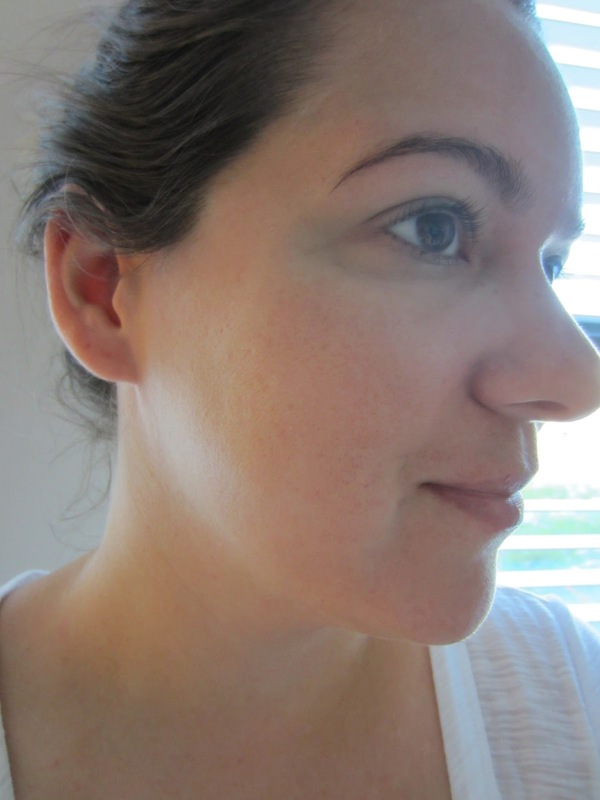 Immediately after my first week of using the system, my skin felt less dry, irritated and red. 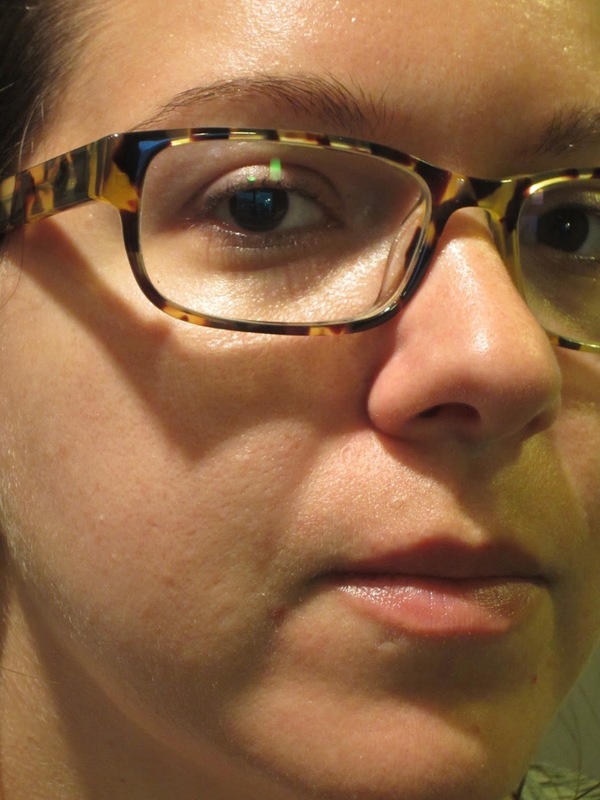 In the photos below, my face looks a little white, it's because I took the photos after applying steps 2-4. The mineral sunscreen does make you face a tad white, so just be sure to use a cc cream or foundation after applying. Voila! Technically, you are supposed to use the system 2 times a day but due to my busy schedule, I only wash my face at night and use the regimen then, right before bed. I asked my consultant if that is OK and she said I would get better results it I used it twice a day, but that I don't have to change my lifestyle to wash my face. Hah. So, they get it. It's real life. Realistically, I'm not going to wash my face in the morning. It would add at least 10 minutes to my morning routine and I need my beauty sleep. So, nights it is. And that's been working perfectly for me! I also asked my consultant about using my Clarisonic brush. She recommended I take a break from it and I mostly have. I maybe have used it once every other week. Also, my skin is on the drier side and she also mentioned that you can use the system without water if you have dryness issues. I didn't end up experimenting with that, but it's possible I might in the future as it gets colder here and my skin starts feeling the effects of that. I guess the moral of the story is that sometimes less is more. You don't have to spend tons of money and have 27 different products and special things in your skin care line up. You just need real products that work that have good ingredients and that make your skin feel good. It's as simple as that. If you are interested in trying their products, click here to visit their website or you can contact my R + F consultant at sassysistershawaii@gmail.com. Note: All opinions and photos are my own. 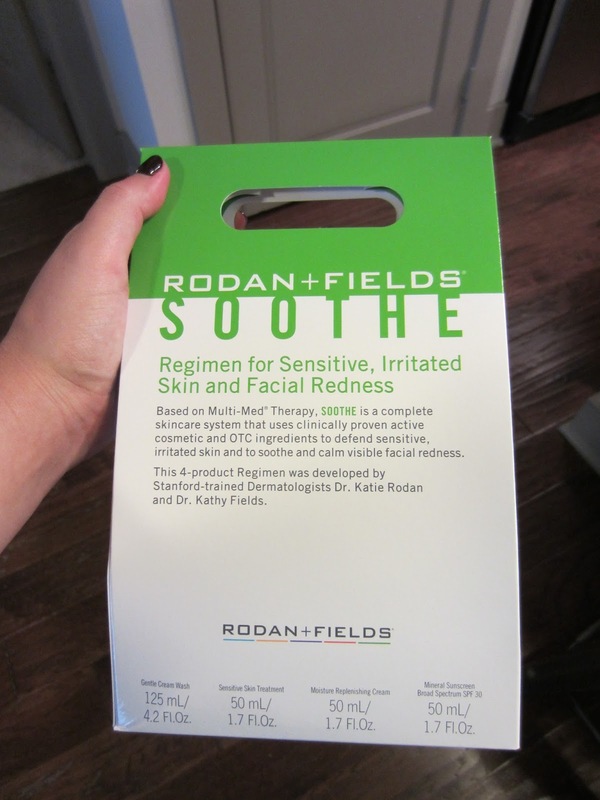 I received a complimentary SOOTHE Regimen kit from Rodan + Fields to review.